Why are “Like & Share” competitions against the rules? I’m sure that you are familiar with “Like & Share” competitions on Facebook. You know the ones that, what seems like every business and their dog doing; and telling you to like share and tag your friends to enter a competition to win. From Oil Companies to Florists, and Hardware Stores to Chinese Restaurants, they’re all at it! I’m also sure that you’ve been tempted to run one of these on your own businesses Facebook page. Well if you have run a “Like & Share” Competition, or if you are running one at this very moment I have news for you. Stop it straight away, because it is against Facebook rules and you could be penalised by Facebook or even have your Facebook business page shut down! How often do you see this type of post on your Facebook Newsfeed? 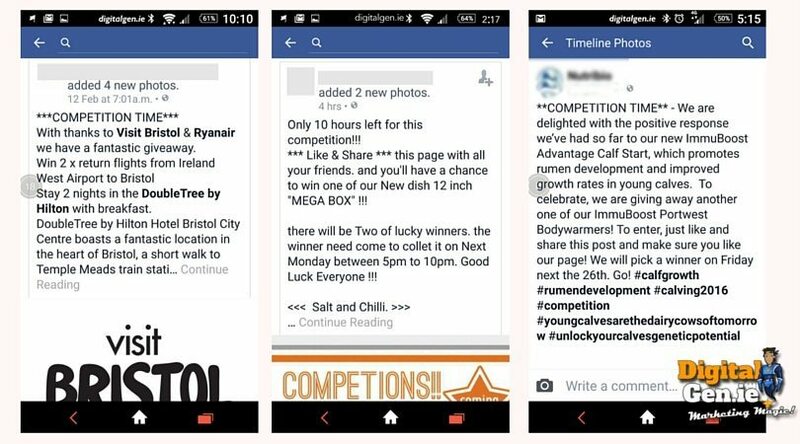 So what’s wrong with “Like & Share” competitions? The fact that many businesses are doing this on a regular basis is irrelevant, Like and Share contests have always been against Facebook’s rules and they still are. Facebook doesn’t want newsfeeds clogged with poor quality content. Facebook has over 1000 different algorithms (or rules) that determine what appears on a person’s newsfeed. They adjust these algorithms to ensure that “poor quality” or “overly promotional” content, as well as content that asks for likes, shares & tags will be penalised and will be less likely to reach the newsfeed. Worse than that, it also means that your page could be penalised organically (restricted) by Facebook’s algorithms meaning your page likers (or followers) will be less likely to see your content in future. Do you really want to risk all of that, or even the real possibility of having your Facebook Business Page shut down for a few meaningless “Likes & Shares”? Another reason why they are against the rules is fairness. If you run one of these competitions you can’t see all of the entries. This means that you can’t pick a “winner at random”. Then when you announce the winner, only a very small percentage of people who entered the competition will actually see the post. Also where are the rules, terms and conditions of this competition? Are there any rules? Do the rules correspond with what Facebook’s rules? It is therefore an unfair, biased and very badly run competition. Is that what your business is about? Do you really want your business to be associated with that sort of thing? 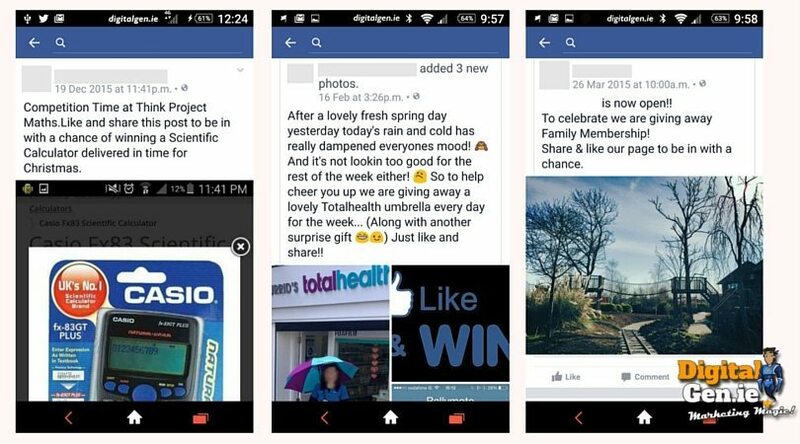 Examples of “Like & share” competitions that are clogging up Facebook. So what are you allowed to do? You CAN’T ask people to LIKE & SHARE a post as part of a competition. You CAN’T run a competition on your personal timeline. You CAN’T ask people to POST something on their personal timeline as part of a contest. You CAN’T TAG people in a post that doesn’t depict them (e.g. you can’t get people to tag themselves or anyone else in a picture of a product). You CAN’T ask people to TAG their friends as part of a competition. You CAN get people to comment or like a post in order to enter a competition. You CAN get people to post photos or comments to your page. You CAN get people to vote using the ‘Like’ function. 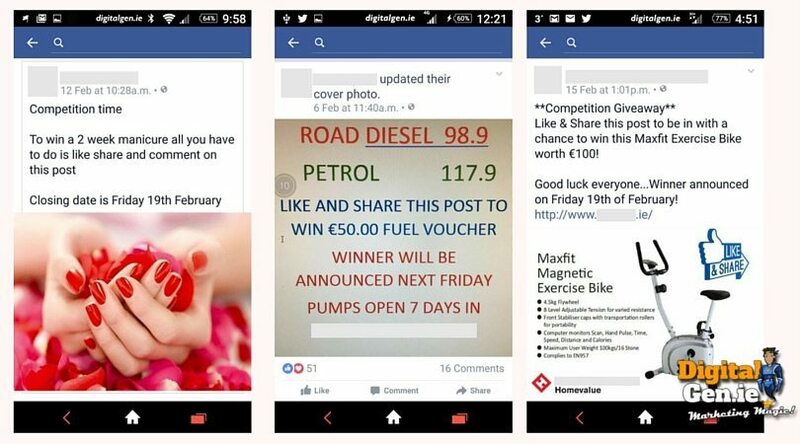 They may seem harmless, but “Like & Share” competitions can damage your business. How can Digital Genie help me? All those “Can & Cant’s” would nearly put you off running a competition altogether. However, there is a solution! 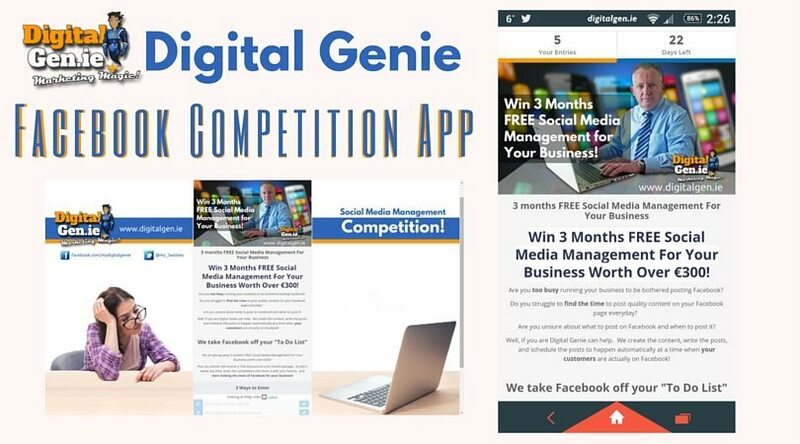 Digital Genie has invested in special software that is approved by Facebook and makes running a Facebook competition a great deal easier and a lot more beneficial for your business. We can arrange and manage the whole thing for you, saving you time and giving you real value for money. Have a look here at our own current competition. This competition is run using our “Competition App”. Grow an genuine, engaged audience the is relevant to your business – get new fans. Promote your brand, reward loyalty and reinforce your brand message. Build your email mailing lists. Increase the level of impressions, reach & engagement of your Facebook business page. Launch and promote a new product or service. Get honest feedback from real fans on new ideas and promotions. Over 20 different ways to enter from submitting a selfie to watching a YouTube video, to sharing via twitter, Instagram, Snapchat, Tumblr, Pinterest or even Soundcloud. Contact details of ALL ENTRANTS can be gathered. This is a fantastic way to extend your customer database or mailing lists. 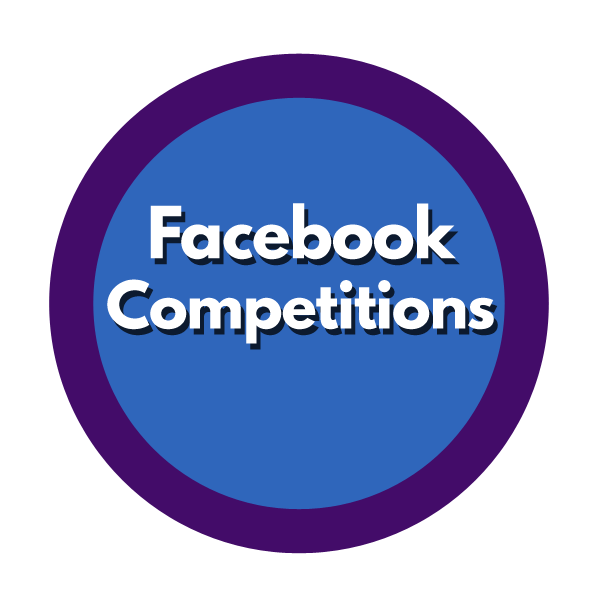 A Digital Genie Facebook competition is cost effective and differentiates you from your competitor. I hope that this has been an informative read for you!